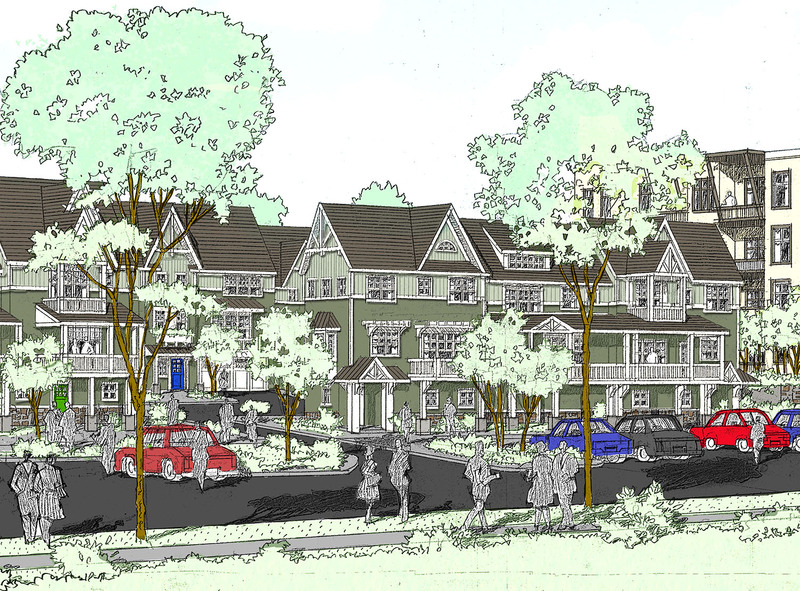 This plot at 116 West Ave. in Saratoga Springs will beome West Condominiums. The four-story building will have 34 residences, 4,100 square feet of retail spaceand a rooftop swimming pool. 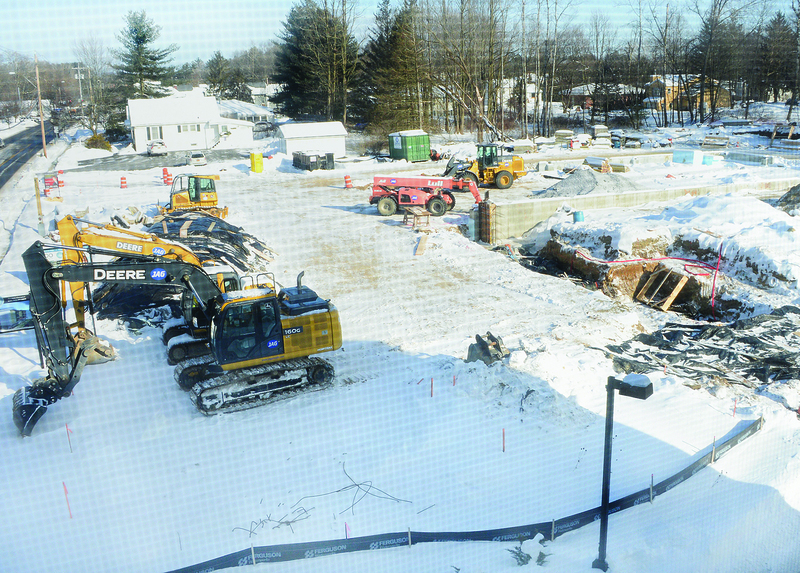 The land is cleared and the footings and foundations are going in for a new luxury condominium development at 116 West Ave. about a mile west of downtown Saratoga Springs. When completed, West Condominiums will include 34 two-bedroom residences, 4,100 square feet of retail space, and amenities including a rooftop swimming pool and underground parking. The developers are waiting for final approval of their offering plan from the Office of the Attorney General, according to Scott Varley, a licensed real estate broker with the Scott Varley Team Keller Williams Capital District, who is marketing the project. If all goes well, a model unit will be available in about a year, he said. 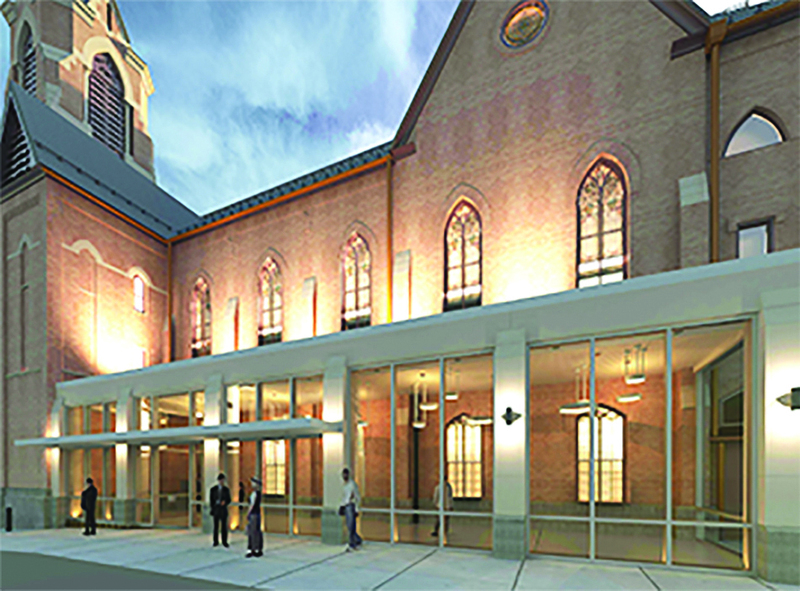 Work is a underway to renovate Universal Preservation Hall on Washington Street in Saratoga Springs. This is a rendering of what it will look like when it opens in 2020. The large Victorian gothic building on Washington Street, once a church, stands empty except for construction workers. However, Teddy Foster, campaign director for the Universal Preservation Hall, which now owns the building, can already see it as the home of a 700-seat theater-in-the-round, a year-round venue for performances and community events. Furthermore, the campaign she heads is within $300,000 of meeting its $5.5 million goal to pay for this phase of the transformation. The theater, with a 45-foot-high ceiling, will occupy the second floor of the building. Community space and an atrium will be on the lower floor. 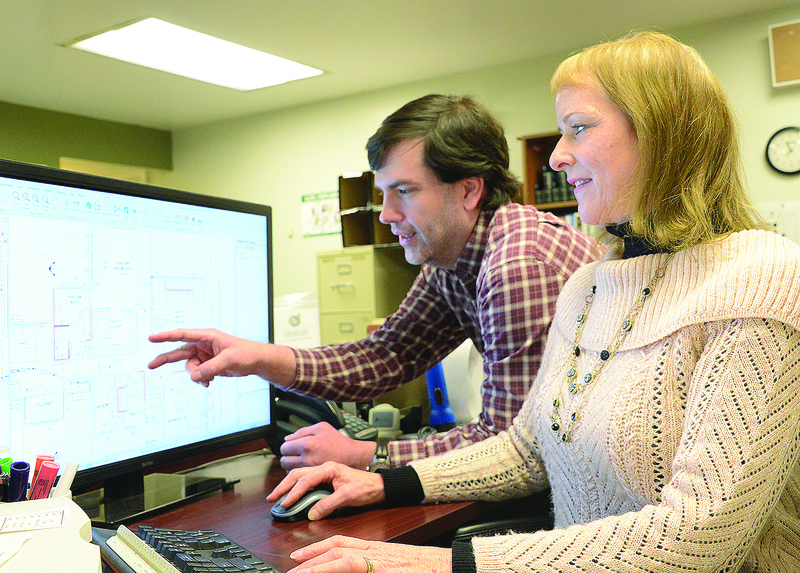 Curtis Lumber employees Margie Miller, architectural representative, and Jonathan Wilkinson, manager of the estimating department, do research on area development projects. It all started with a sawmill. In 1827, Captain Isaac Henry Curtiss built his sawmill on Charlton Road and by it’s 125th anniversary in 2015, Curtis Lumber Co. grew to over 600 employees in 21 locations in New York and northern Vermont. This is the newest Maple Leaf Childcare Center building in progress. 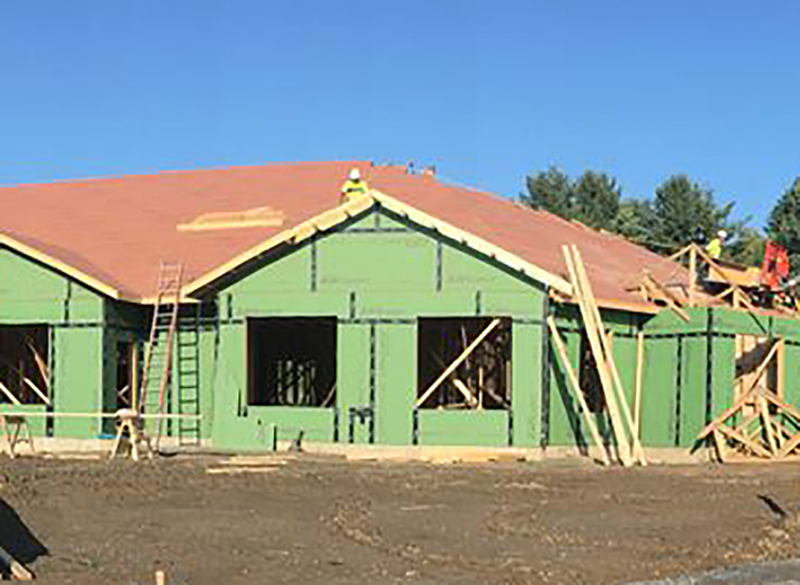 Construction of Maple Leaf Childcare Center’s new building at 41 Werner Road in Halfmoon is nearing completion. The facility is tentatively scheduled to open in mid-April. It is being built by Clifton Park’s Puro Construction and financed by 1st National Bank of Scotia. The Werner Road center will be Maple Leaf’s seventh location. They operate three centers in Malta as well as one in Guilderland, Glenville, and Rotterdam. A total of 28 single family homes will constitute Schuyler Hills, a conservation subdivision off of Route 29 (on the left of the map) in the Town of Saratoga. After years of managing other people’s subdivision developments, Gerry Magoolaghan is striking out on his own as a developer with a 100-acre housing development off Route 29 in the Town of Saratoga. 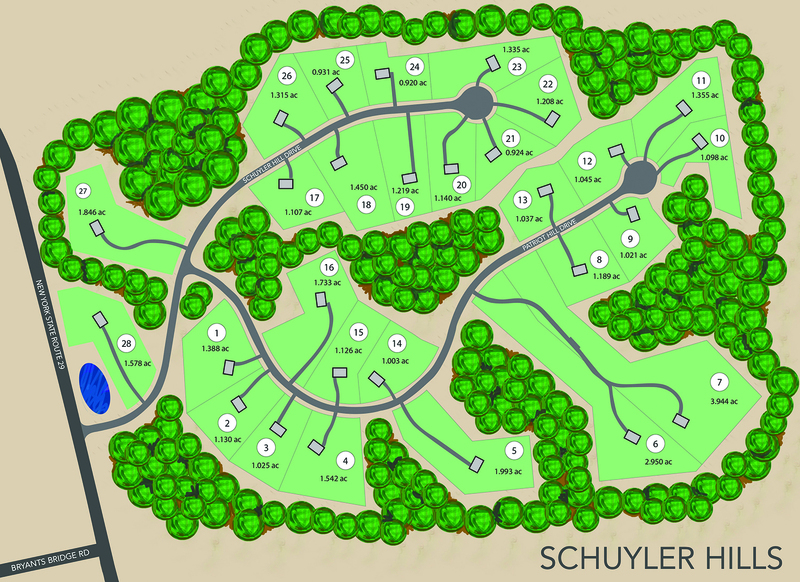 “This is the first that it’s mine,” he said of the project, called Schuyler Hills, a conservation subdivision of 28 single-family homes on lots ranging from just under one acre to almost four acres. A homeowners’ association will own and manage the undeveloped land. “That will be their only role,” he said. Homeowners will pay approximately $250 per year to cover the cost of maintaining the common property. This apartment complex at 246 West Ave., built by Hodorowski Group, was recently opened features 16 units of different sizes, ranging from one to two bedrooms. 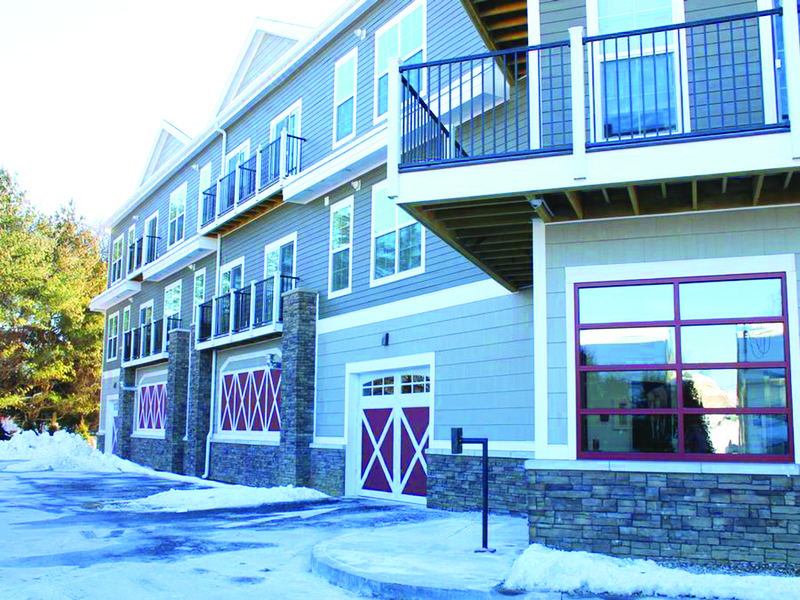 To help satisfy the demand for new apartments within Saratoga Springs, a new apartment complex is now available. The apartments at 246 West Ave were recently opened, built by Hodorowski Group. The three-story complex features 16 units, ranging from one to two bedrooms. It has upscale touches, such as the hardwood floors, nine-foot ceilings, granite countertops and islands, tile backsplashes, and stainless steel appliances. Leanna Pace is property manager for the apartment building. “Normally in a building like this, each unit has the same floor plan. This building is unique because each unit has something different about it,” she said. Belmonte Builders has plans to build a 24-unit condominium development on a six-acre site near Saratoga Lake. We are “early in the presentation phase,” said Peter Belmonte, company president. The plans call for 12 duplexes, each comprised of two townhomes or carriage homes that will have the appearance of single-family homes. He said he hopes to be able to begin construction by the end of the year, assuming that the planning board gives its approval. The site is near Regatta View Drive and Dyer Switch Road, near Fish Creek and Saratoga Lake. It will adjoin the much larger Regatta View and Interlaken developments, developed by Belmonte in the 1980s. Plans for building two commercial buildings at 1712 and 1714 Route 9 in Clifton Park are moving forward, according to Maureen Abele, of Abele Builders. The project was approved by the Clifton Park Planning Board in the fall. It includes two separate buildings. The larger of the two will be 60,000 square feet. That available space has not yet been subdivided. The smaller building, a 3,600-square-foot space, will be subdivided into two 1,800-square-foot spaces, she said. Abele said construction of the smaller building will be completed soon, with an expectation to have the larger building completed by May or early June. She said that 75 percent of the 60,000 square foot building has already been rented to Kitware, a software research, development and consulting company, currently located in multiple offices in Corporate Drive, approximately two miles from the new site. This shows a portion of the Excelsior Park Townhomes to be built by Witt Construction. Witt Construction expects to break ground soon and begin construction of Excelsior Park Townhomes located at 21-25 Whistler Court. Company president John Witt said when the project is completed, there will be 18 units, ranging in size from 1,300 to 2,600 square feet, with prices beginning in the mid-$300,000 and up range. Two units will have an additional option of being constructed as an additional bedroom or as an efficiency-type “in-law” or guest apartment. The townhomes will be three stories, with entrances through the garage level; a second-floor living, dining and kitchen area; and bedrooms on the third floor. The garages will be both one-and two-car. According to Witt, buyers will be able to choose from numerous amenities, working with Witt Construction’s in-house designer and customizing the homes to their liking. The homes will be characterized by high ceilings, large double-glazed windows, open floor plans and signature detailing that has won Witt many awards over the years. 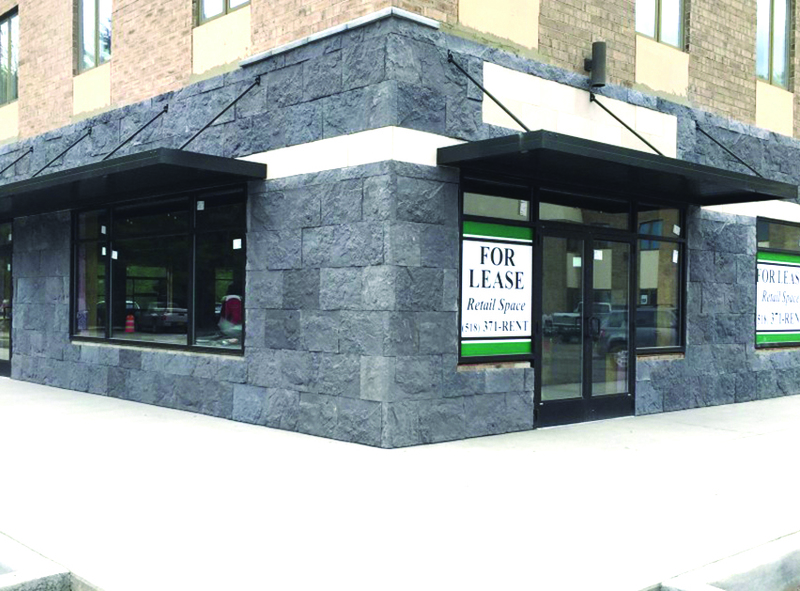 Town Plaza on Route 146 in Clifton Park was once all commercial office space, but the first floor is being changed over to retail space by DCG Development. “It looks like a busy year,” said Mike Munter, vice president of Munter Enterprises in Middle Grove. The sentiment appears common in the construction industry as it rolls into 2017. Across the county there re many projects in process and many others that will come to light in ensuing months. “Last year was busy. We had a lot of good work,” Munter noted. Regarding 2017, “we’re seeing that people are motivated now to invest in their people and their business … There’s a lot of positive energy out there” that bodes for a good year for the construction industry. Munter Enterprises broke ground on a 3,000-square-foot expansion at Northway Emergency Animal Clinic off Northway Exit 17 in Moreau. The expansion will add more space for surgery, examination rooms and some administrative space. The company has started to pour concrete Stone Bridge Iron & Steel Inc. 30,000-square-foot expansion of its production facility in Northumberland.